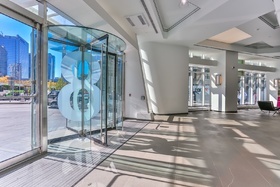 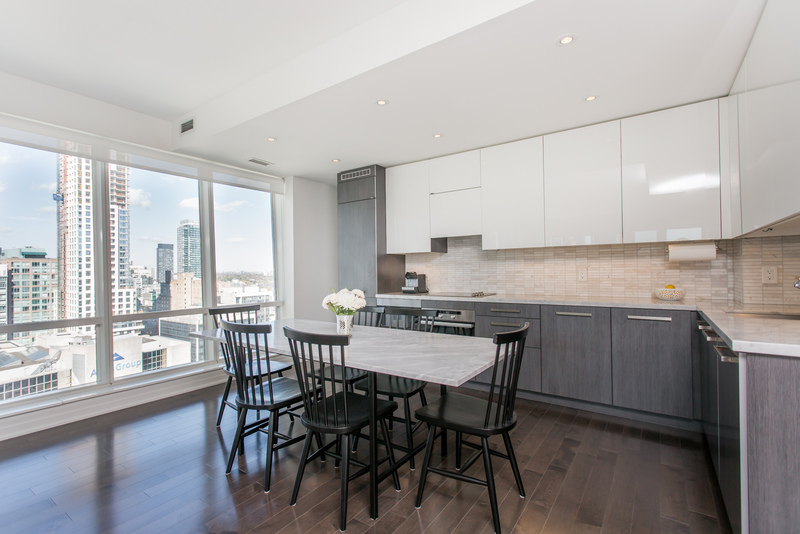 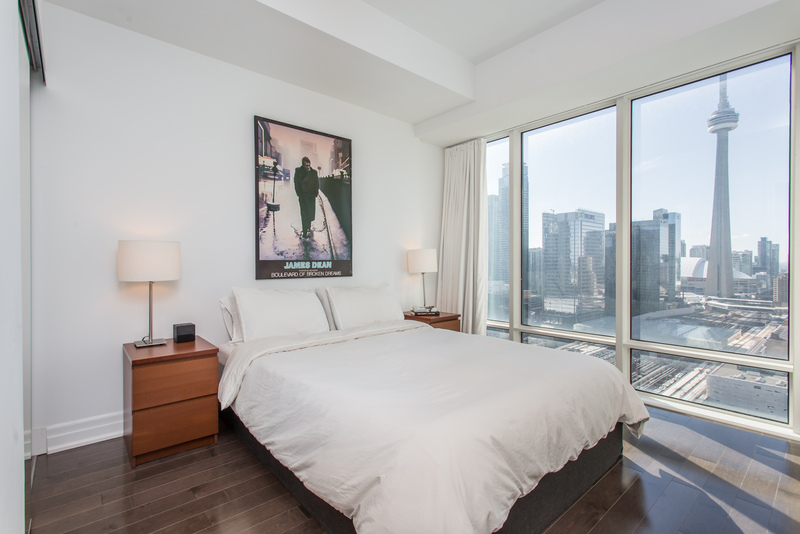 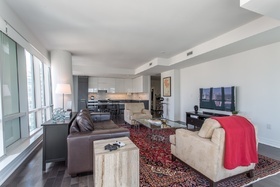 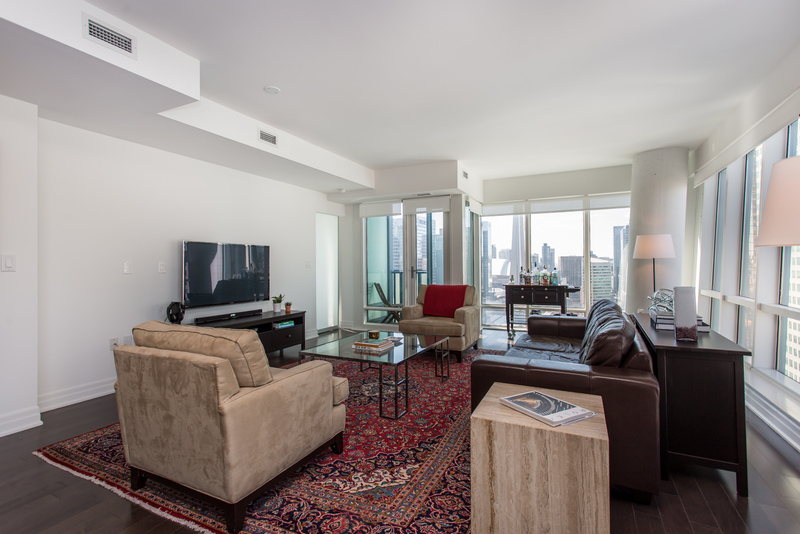 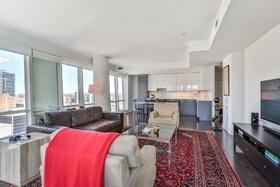 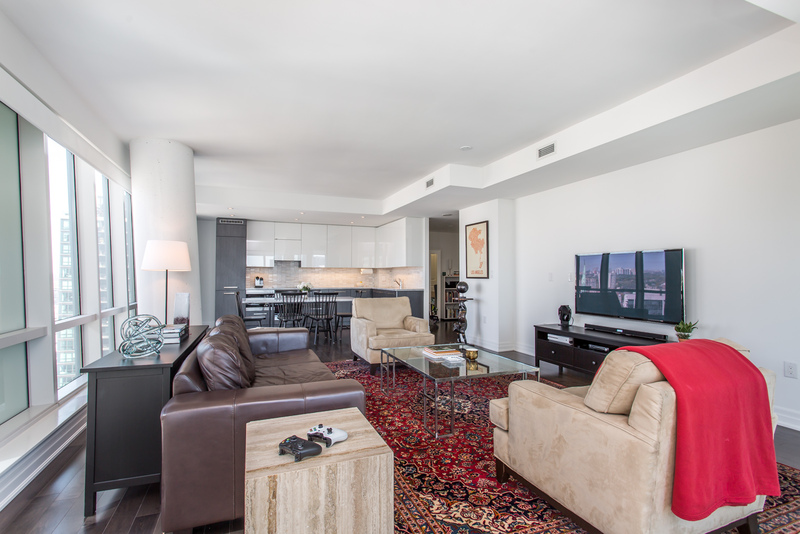 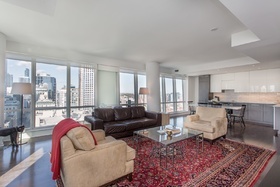 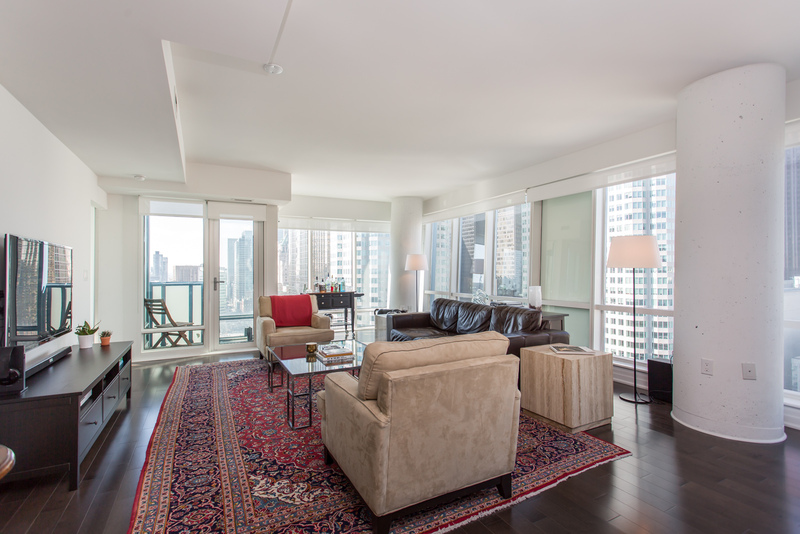 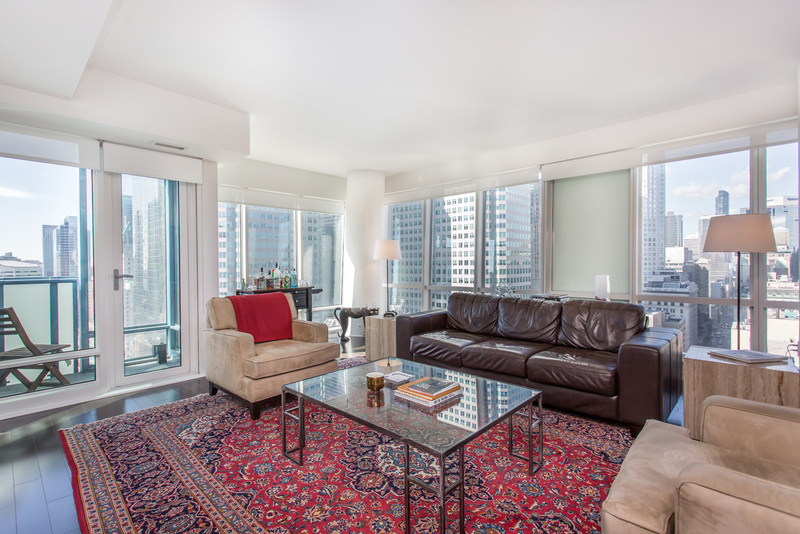 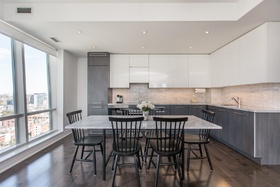 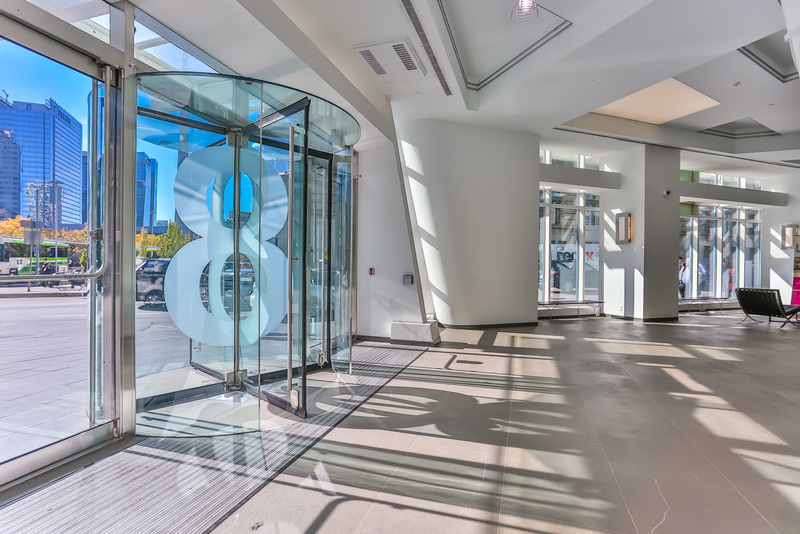 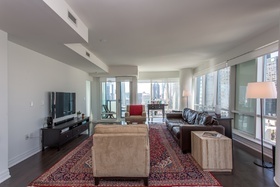 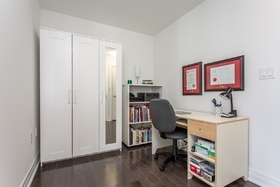 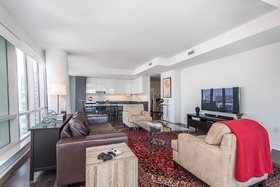 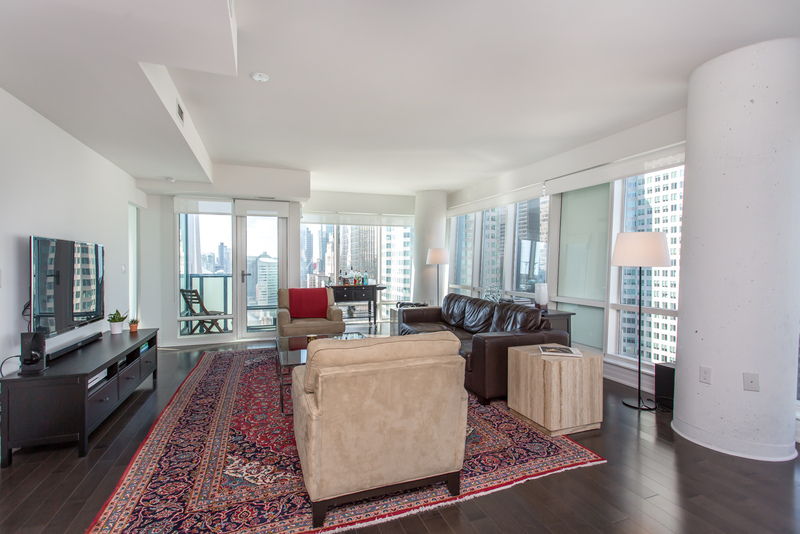 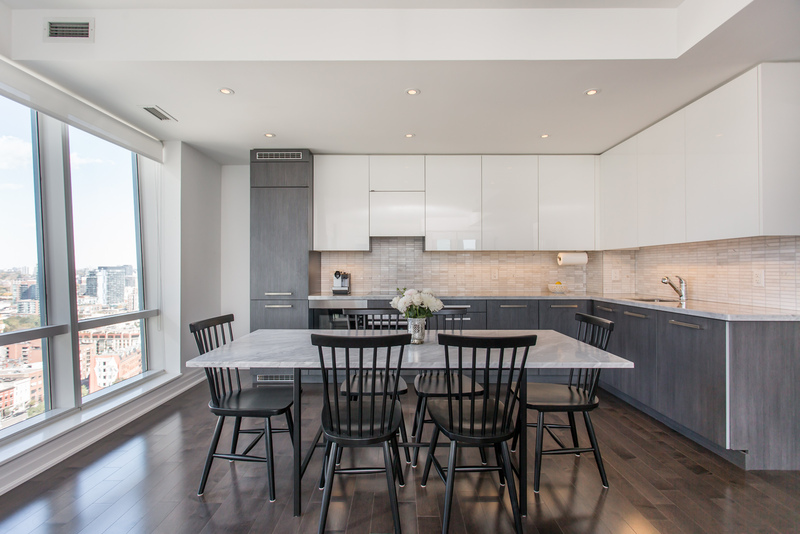 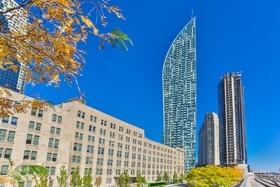 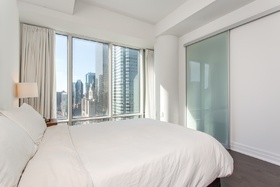 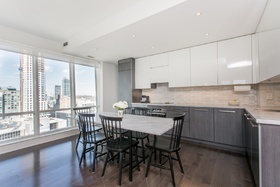 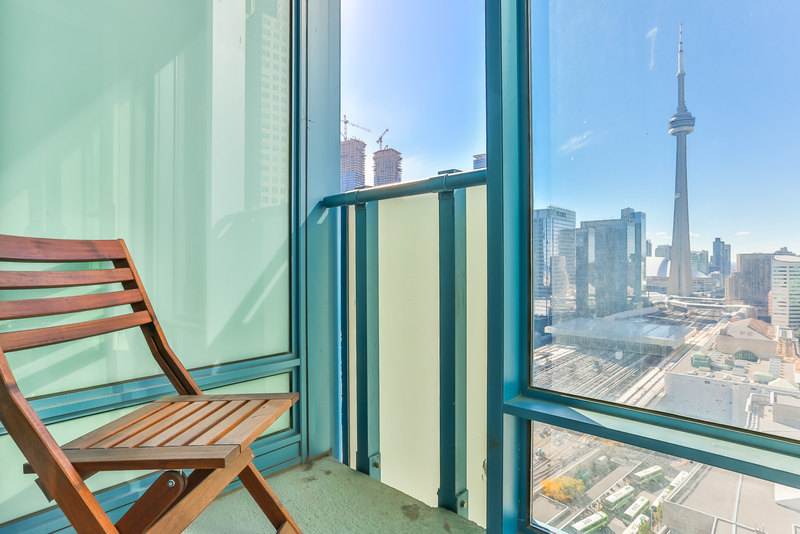 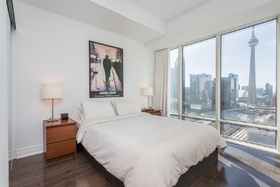 Centrally located at Yonge & Front Streets, this 999sf 1+1 bedroom luxury suite sports an expansive view of the Downtown and Waterfront Communities. With its high ceilings, upgraded hardwood floors, large windows in major rooms, and a large open-concept main living area this is a downtown dwellers dream. 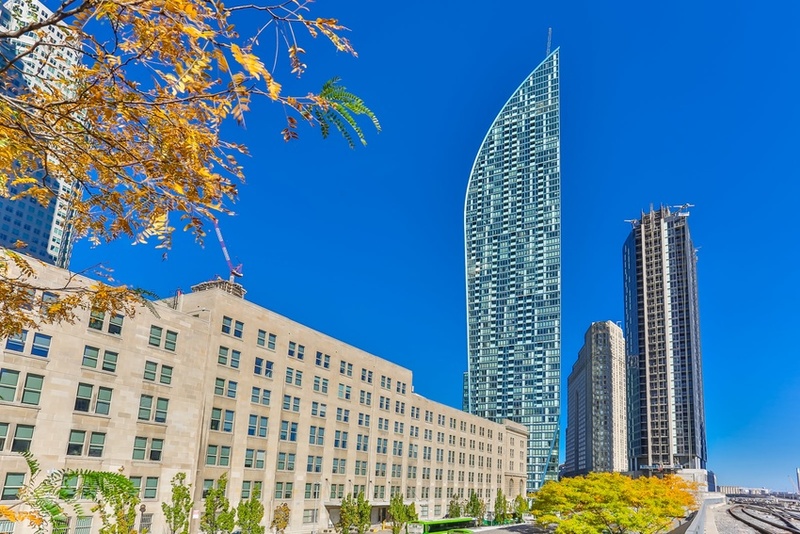 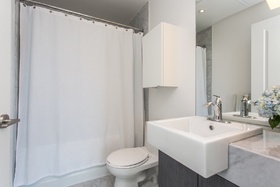 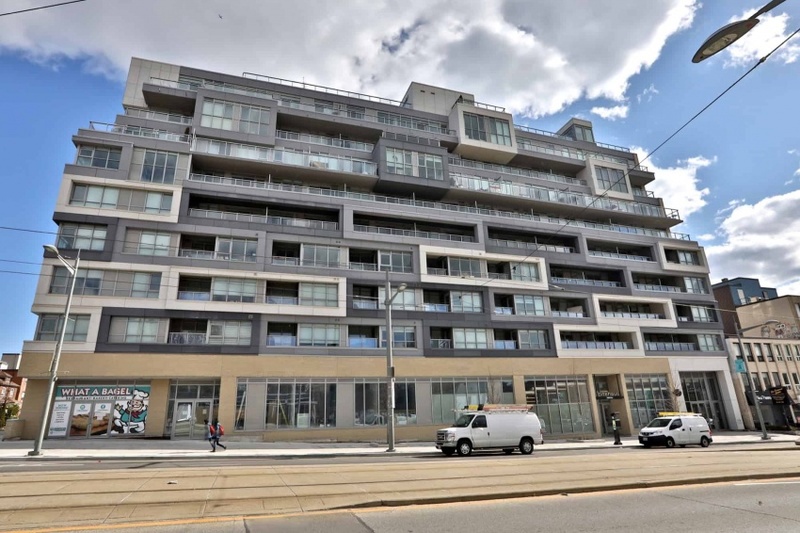 Centrally located at Yonge & Front Streets, this 1008 square foot 1+1 bedroom luxury suite sports an expansive view of the Downtown and Waterfront Communities. 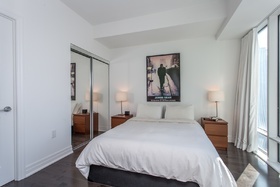 With its high ceilings, upgraded hardwood floors, large windows in major rooms, and a large open-concept main living area this is a downtown dwellers dream. 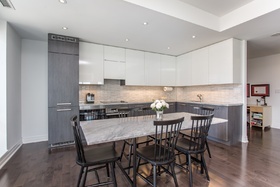 The Scavolini kitchen features Miele appliances, a tiled backsplash, stone counters, under-counter lighting, paneled fridge, & recessed lighting. 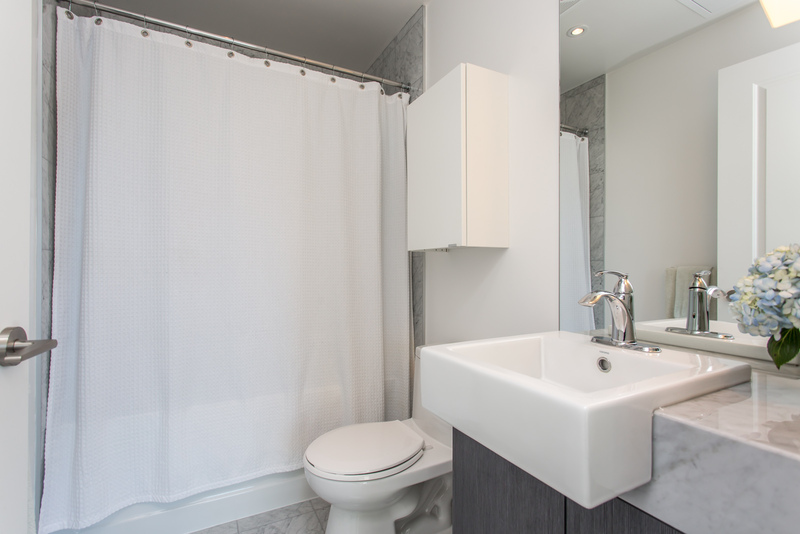 The master bathroom features stone counters, upgraded hardware and stone tiles. 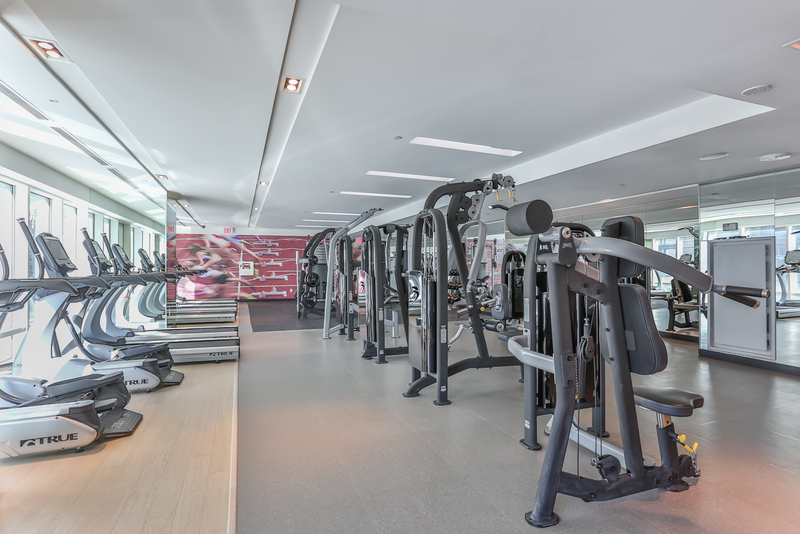 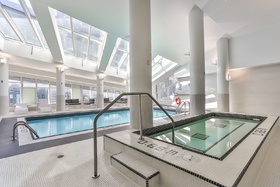 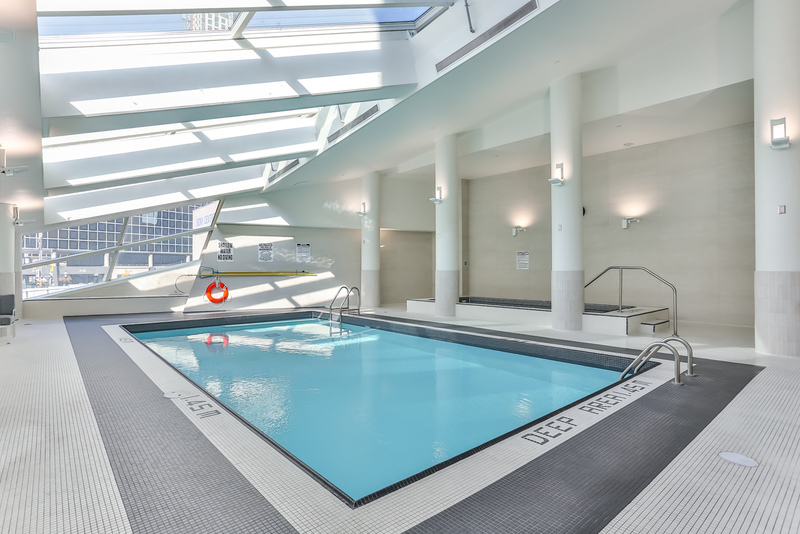 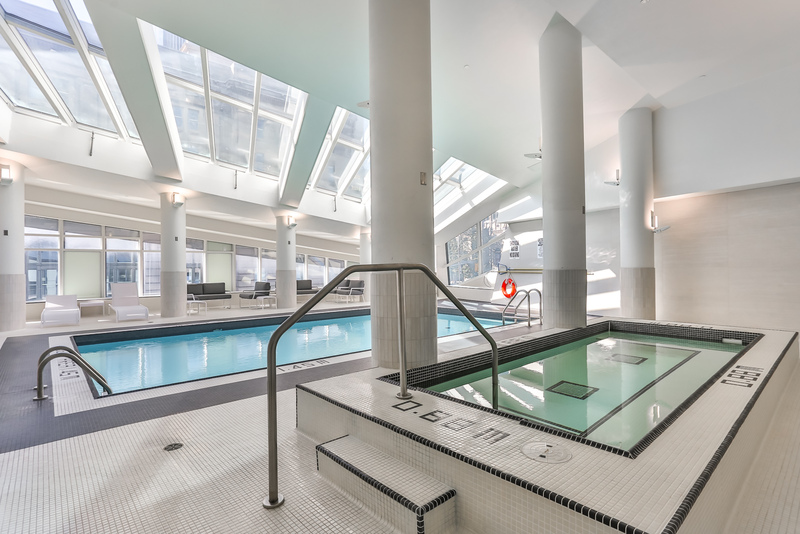 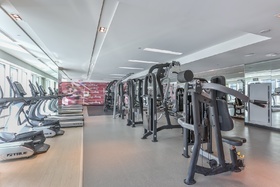 Building amenities include a gym/exercise center, an indoor pool, whirlpool and sauna, a 24 hour concierge, a party room, guest suites, and visitor parking. 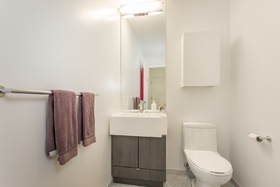 Residents are steps to union station, Queens Quay, St. Lawrence Market, sports venues, the arts, restaurants & shopping. 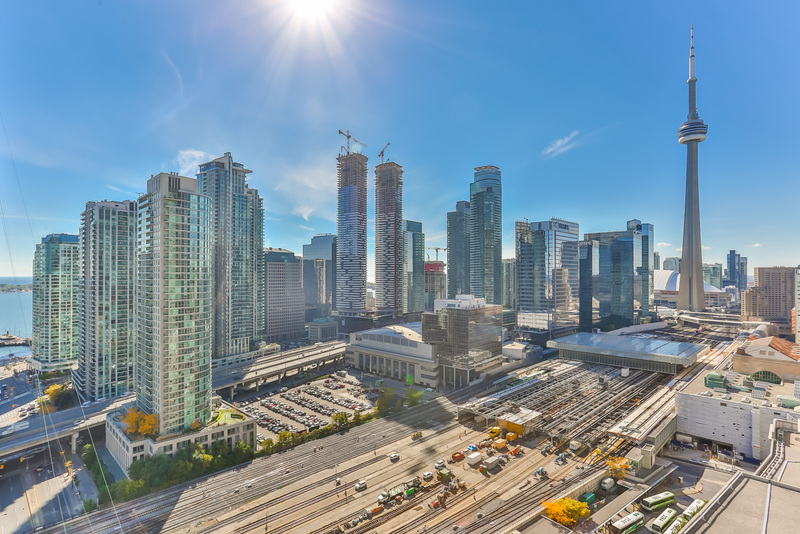 The DVP, Gardiner and Lakeshore are all close at hand.